Whether you are heading to a party or just having a few friends over, these keto appetizers will help you stay on track with keto! It is true that when you are living the ketogenic lifestyle you will not be as hungry, but there is just something about gathering friends that make you want to eat non stop. I have rounded up the best easy low carb appetizers from all around the web so you can indulge without blowing your diet! One of the toughest parts of staying on keto is eating while you are at social events. 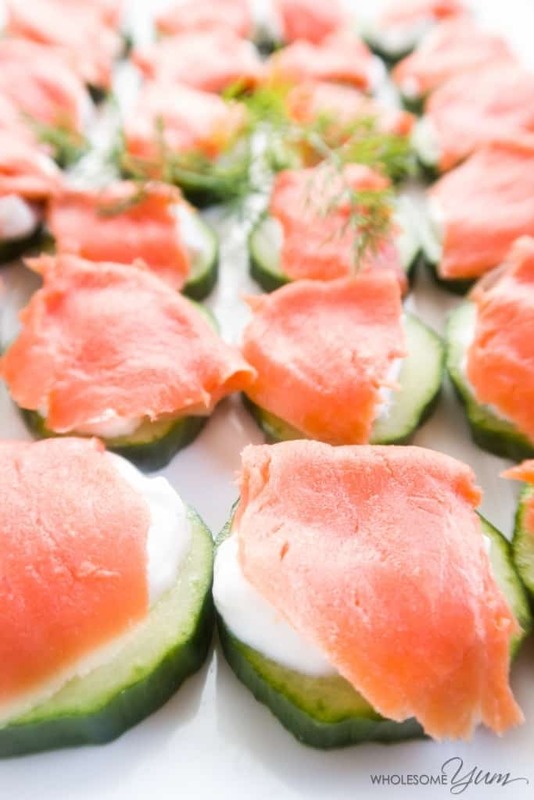 With these easy keto appetizers, you can spend more time enjoying your event and less time stressing about your food! 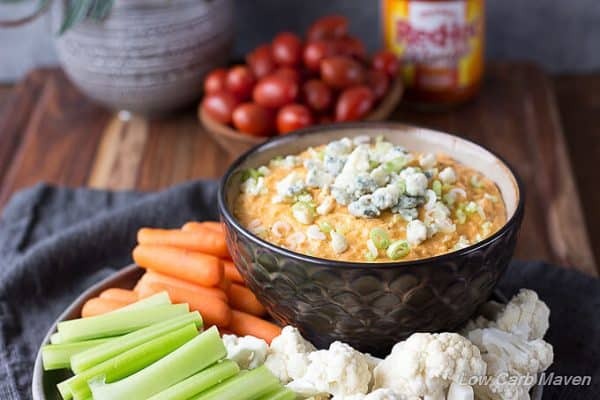 A staple for any gathering is buffalo chicken dip. Even before I was low carb this was a favorite of mine and my entire family. Even still it is always the first thing we run out of – even with a small crowd. 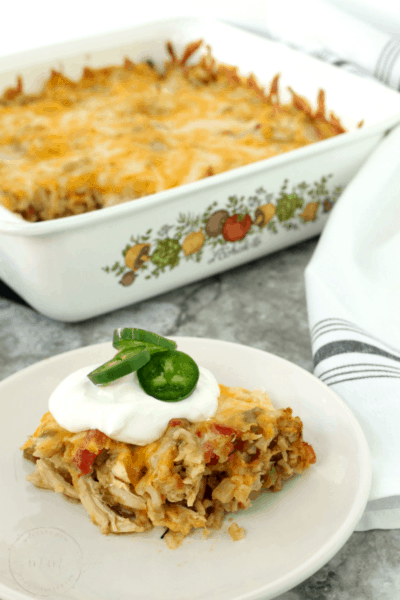 Check out this amazing recipe from Low Carb Maven. Another favorite dip is spinach artichoke dip! 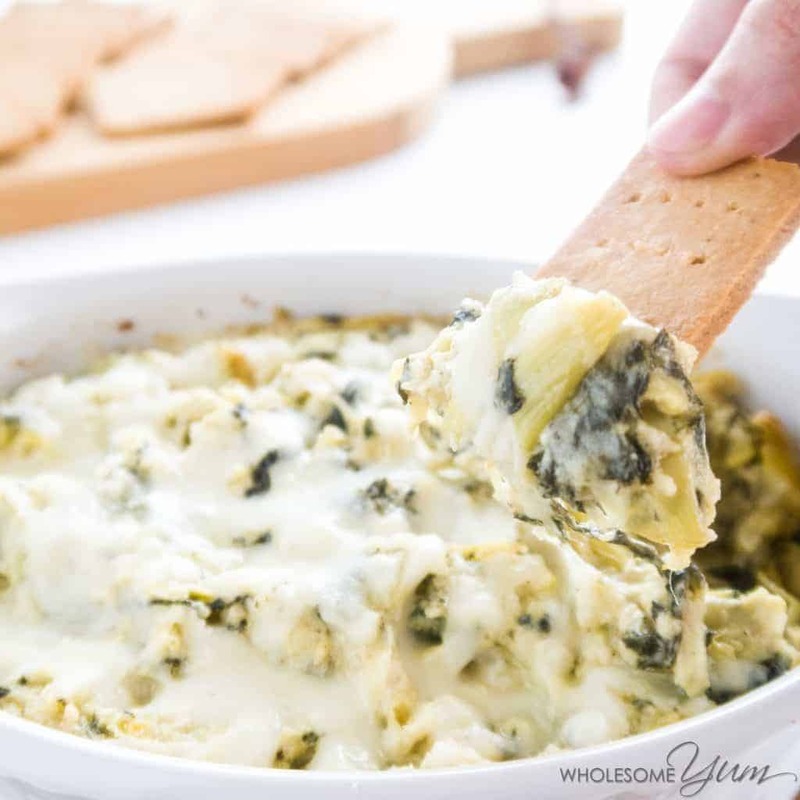 This 8 ingredient low carb spinach artichoke dip will please any crowd! I absolutely love spinach dip with fresh cucumbers! Find the recipe on WholesomeYum! 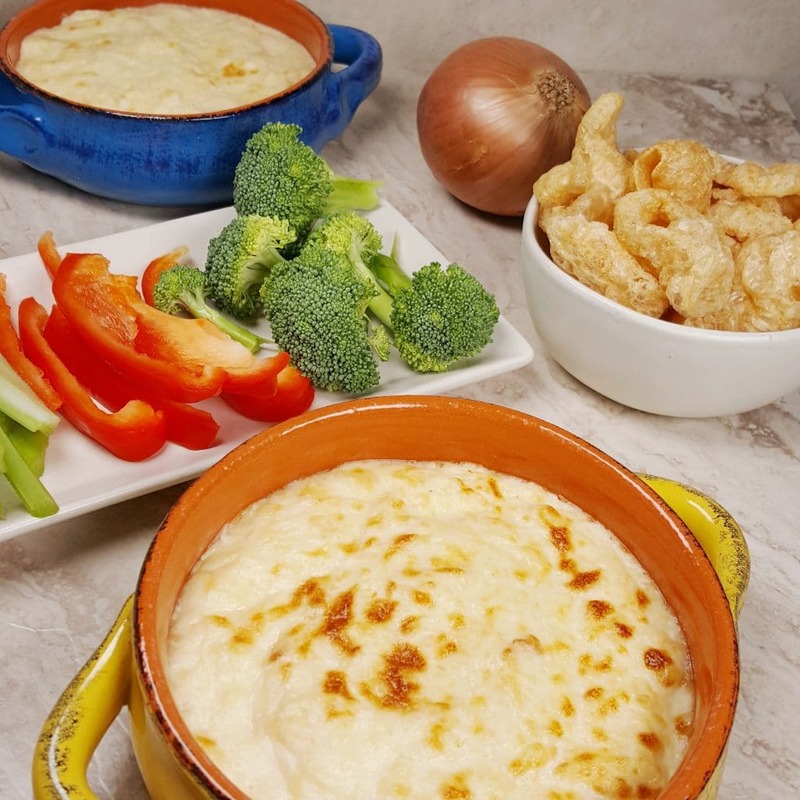 This Pressure Cooker Hot Onion Dip only takes a few quick ingredients and you will have a crowd pleaser for sure! 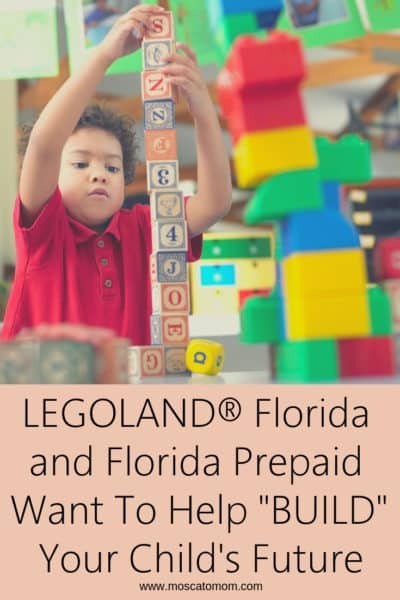 Check out the full recipe from ThisOldGal. I absolutely love salmon – and it is so good for you! Check out this delicious finger food from WholesomeYum! 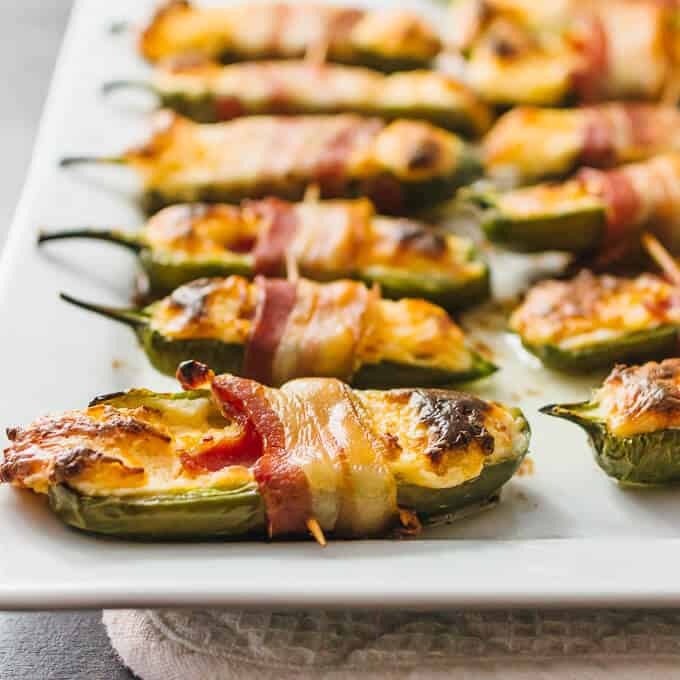 Jalapeño Poppers are always a crowd favorite. Plus they can be made ahead of time and reheated for a quick snack! My Chicken Stuffed Jalapeño Poppers are practically a full meal, but these Bacon Wrapped Jalapeño Poppers are simple and tasty! You can find this delicious recipe from Savory Tooth. 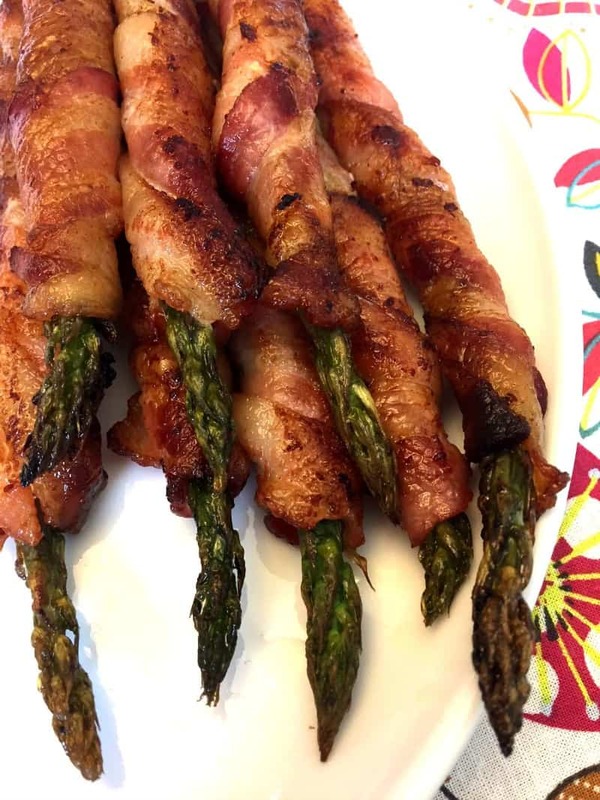 Further proving that everything is better when wrapped in bacon, this Bacon Wrapped Asparagus from Melanie Cooks is a great appetizer or keto side dish you can make in a snap. Asparagus is a great source of fiber – a nutrient you need when keto! Asparagus is also packed with folate, vitamins A, C, E and K, and tastes great! Find the full recipe and instructions at MelanieCooks.com. Beauty and the Foodie has put together an amazingly simple recipe that I can not wait to serve at parties this season. 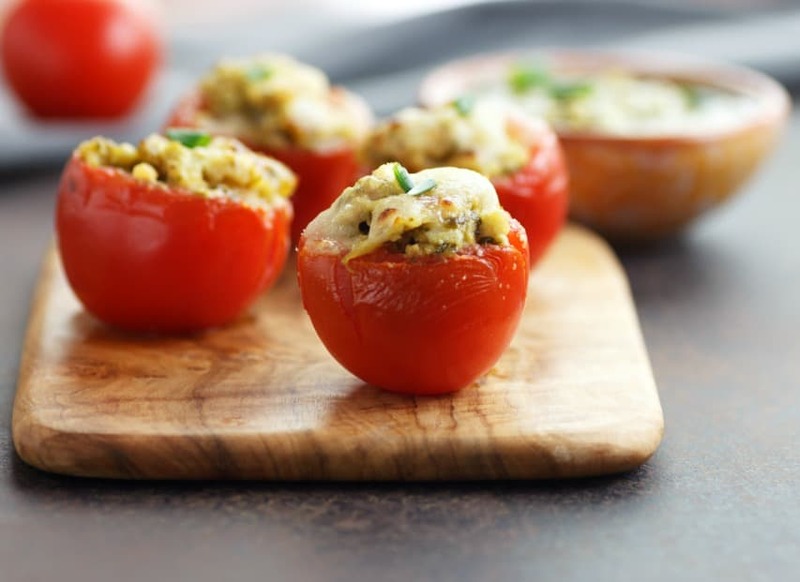 Tomatoes make the perfect delivery for her Chicken Pesto Tomato Bites – she even has a homemade pesto recipe! Check out both recipes at BeautyAndTheFoodie.com. The problem with this next keto appetizer is that it is hard to stop once you start! 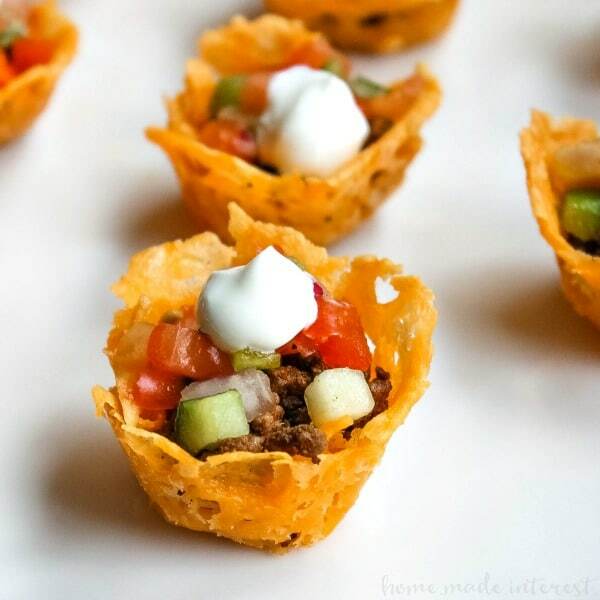 Low Carb Taco Bites from HomeMade Interest bring everything you love about tacos into a bite-size snack! Bonus – they are like the cutest little things ever. 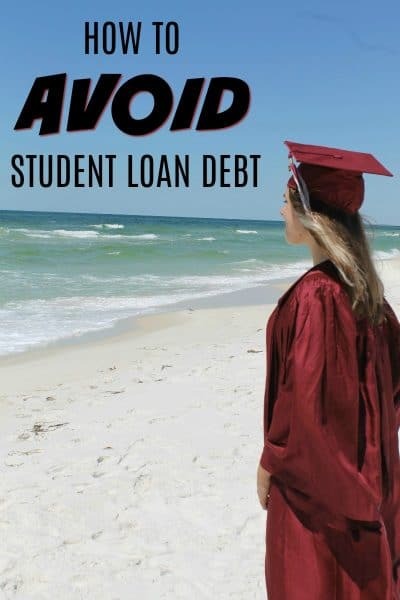 Check out the full recipe at HomeMadeInterest.com. 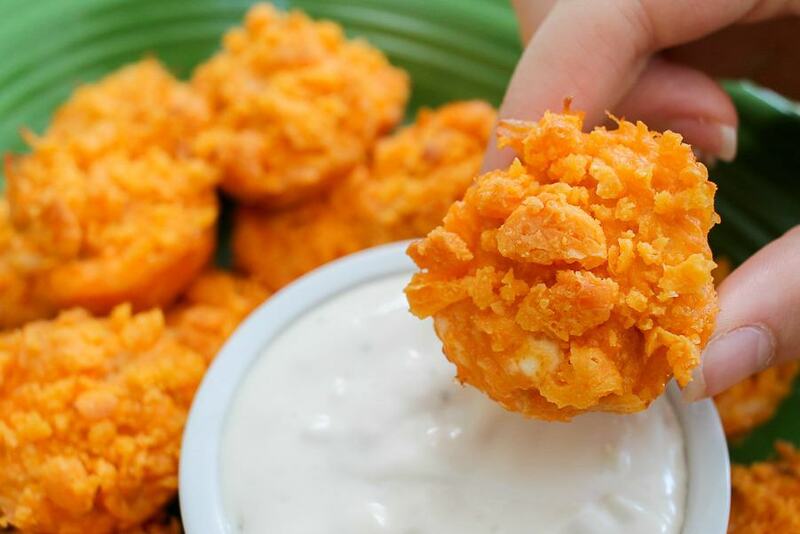 Speaking of bringing your favorites down to bite size – these Buffalo Chicken Dip Bites from ATurtlesLifeForMe are genius! I love that this simple keto appetizer turns my favorite dip into a finger food – making it perfect for meal prep too! Check out the full recipe at ATurtlesLifeForMe.com. 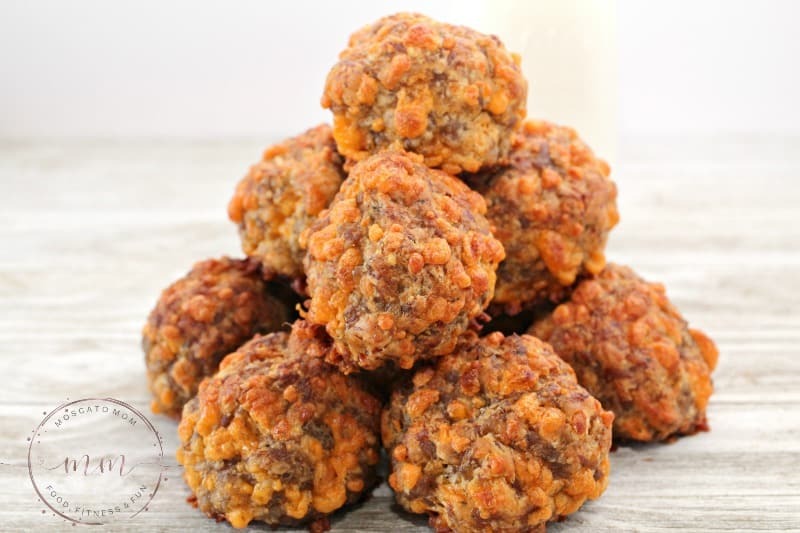 I think sausage balls are a staple at any gathering – and my Spicy Keto Sausage Balls are always a hit. If you do not want them too spicy, check out my Cheesy Keto Sausage Balls with no nut flours! Check out my full recipe for Spicy Keto Sausage Balls. 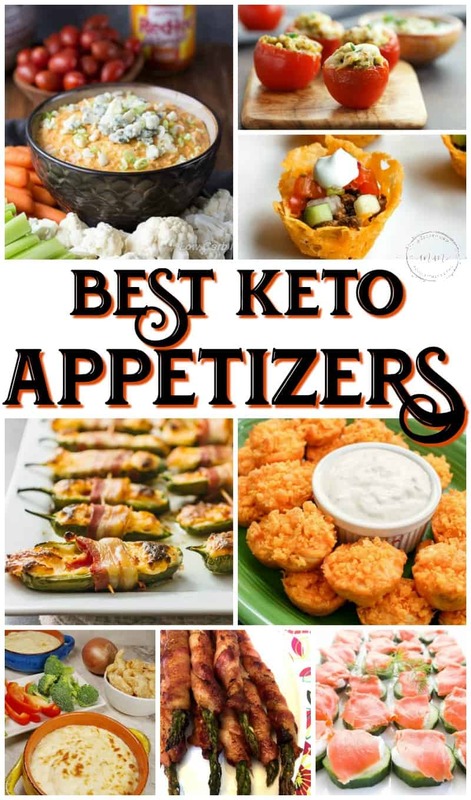 No matter which one of these delicious simple keto appetizers you serve, you can enjoy your event without having to worry about your macros! I call that a total Keto Win!